It’s been four days since House Republicans approved their proposal to dismantle regulations of the financial industry. It might as well have been as many years. Every interested party besides the House GOP itself is already treating the package, officially the Financial CHOICE Act, like ancient history. Network news broadcasts have not mentioned the House vote; their cable counterparts have acknowledged it only in passing. Lobbying groups for Wall Street heavies have handled the bill, in the words of one industry lawyer, as if they were “humoring a dotty rich grandfather to avoid being disinherited.” Those groups — the American Bankers Association, the Financial Services Roundtable, and the Securities Industry and Financial Markets Association — issued tepid statements of support for moving the process along without endorsing the actual measure. And in detailed submissions to the Senate Banking Committee, made earlier this year and posted online last week, they didn't discuss the House approach at all. Financial regulation doesn’t animate voters the way that, say, the debate over health care does: It’s harder to get exercised about a proposed repeal of the Volcker Rule than the specter of losing insurance coverage for a preexisting condition. So some of the lack of attention to the House action owes to a deficit of general interest in the finer policy points. But the Trump team’s orphaning of the plan spearheaded by House Financial Services Committee Chair Jeb Hensarling (R-Texas) is also a leading indicator of the administration’s intent to tack in a different direction, one more likely to hew to the industry’s preference for tweaking Dodd-Frank at the margins. The floor debate over the House bill featured some histrionics about how the measure effectively fulfilled the industry’s deregulatory wish list. 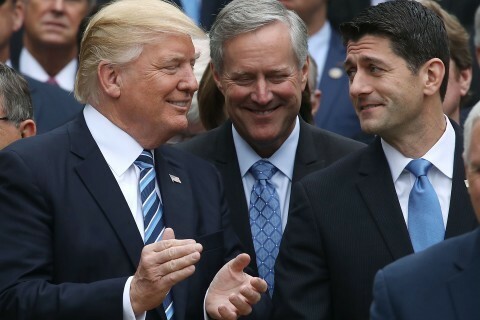 “This legislation releases every bloodthirsty, greedy Wall Street super-predator back onto the American people to feast on our misery, like they did pre-Dodd-Frank,” Rep. Gwen Moore (D-Wis.) said, in an especially vivid example of the critique. A more accurate appraisal came from Rep. Denny Heck (D-Wash.), who said the bill “makes even some moderate Republicans deeply uncomfortable” — not because it offered a craven giveaway to industry, but because it was “an ideological document.” In that regard, it's telling that Hensarling's bill earned endorsements from the Heritage Foundation and Americans for Prosperity but none of the big bank lobbies. That's in part because big banks have adjusted to some features of the post-crisis regime. 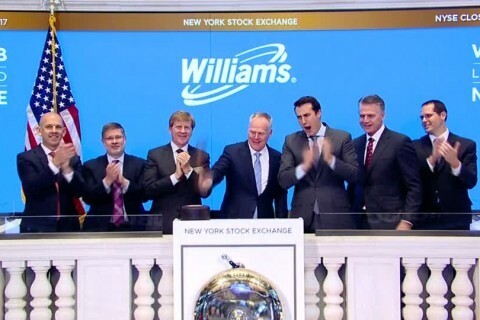 For example, most Wall Street brokerages have shifted away from a commission-based model for retirement accounts in anticipation of a Labor Department rule that took effect on Friday. So the urgency has dissipated for those firms to repeal the so-called fiduciary rule. And the industry wants to preserve the authority that Dodd-Frank handed the FDIC to unwind a failing financial firm. The Treasury Department today is set to unveil recommendations for easing regulations on the industry that reportedly reflect that reality. A Politico report on the document — the first in a series detailing the administration's roadmap for financial deregulation — said it will propose "modest revisions" to existing rules. So it appears House Republicans have done Mnuchin a favor, if unintentionally. Kicking off the debate with a libertarian bill gives the former Goldman Sachs executive plenty of space to stake out some middle ground. "For Treasury, it makes more sense to strongly advocate realistic reforms rather than push a bunch of things that aren't going to happen and then look like they've lost," Ian Katz of Capital Alpha Partners wrote in a note to clients on Sunday night. "Treasury has a chance to be a key part of the discussion, and it will have more credibility if it presses for reforms that have a chance of getting through Congress." --Mnuchin has a more pressing problem than how to craft and position his deregulatory agenda: The Treasury is swiftly approaching the limit of it borrowing authority. --So far, Mnuchin is having an easier time working his will inside the administration. He's set to pick Brian Brooks, a former colleague from OneWest Bank, as his No. 2 at Treasury, as Axios first reported over the weekend. Brooks, now Fannie Mae's general counsel, is stepping in after Mnuchin's first pick, Goldman executive Jim Donovan, backed out citing personal reasons. Brooks, a former OneWest vice chairman, will become the second alum of the outfit in as many weeks tapped for a top administration job, after Trump nominated onetime OneWest CEO Joseph Otting to head the Office of the Comptroller of the Currency. — The Federal Reserve is likely to hike interest rates for the fourth time since December 2015 when it meets this week. But that tightening has yet to be felt on Wall Street, where stocks continue to rally and bond yields have fallen, conditions that typically spur faster economic growth. The Wall Street Journal writes that the mismatch could prompt the Fed to embrace a strategy of raising rates more aggressively than it had planned. Investors will also be watching for what the Fed says about unwinding its balance sheet, a process expected to start later this year. ...way up. Regulations way down. 600,000 new jobs added. Unemployment down to 4.3%. Business and economic enthusiasm way up- record levels! The stakes for dozens of transit projects across the U.S., however, is very real. As Damian Paletta and Mike DeBonis reported Friday, projects from Phoenix to Pittsburgh, and the thousands of jobs associated with them, face an uncertain future, because the administration has indicated it wants to take a new approach to their funding. 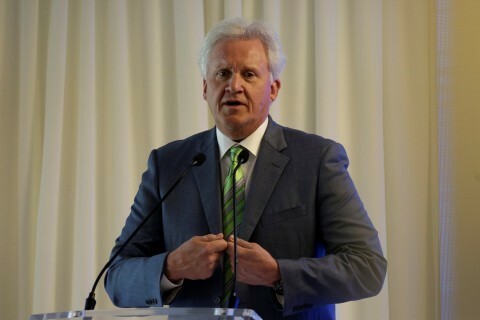 John Flannery, who has been with General Electric since 1987 and leads its health care unit, is to become chief executive on Aug. 1 and chairman on Jan. 1. The VIX index of stock market volatility continues to fall, and on Friday hitting its lowest level since December 1993. The 9.37 mark is less than half of the VIX's historical average, and suggests market certainty despite widespread geopolitical tumult and technological disruption of existing industries. 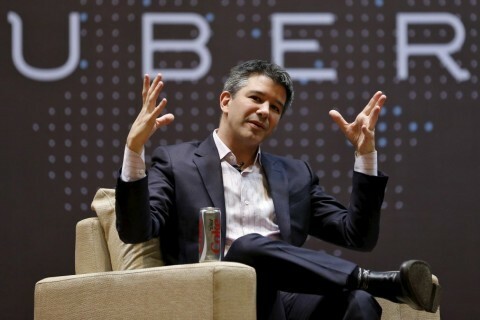 Uber chief executive Travis Kalanick could be required to leave the company temporarily as the ride-hailing service struggles to recover from months of controversies, according to multiple reports. 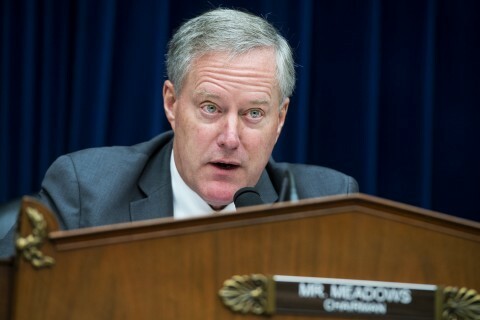 Rep. Mark Meadows said Congress should cancel recess if there's no detailed tax proposal before August. Rep. Mark Meadows also said the hardline conservative group's still-in-development bill wouldn't include the border adjustment tax and immediate business write-offs. U.S. Treasury Secretary Steven Mnuchin had a secret get-together with former Federal Reserve Chairman Ben Bernanke — at least, until he revealed the meeting on social media. 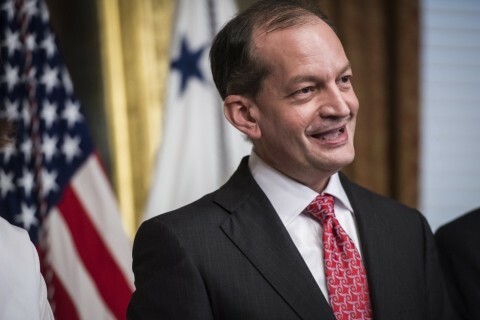 The Labor Department announced Thursday night it was taking steps to reverse an Obama-era rule requiring companies disclose their initial contacts with outside consultants on how to respond to unionizing efforts. 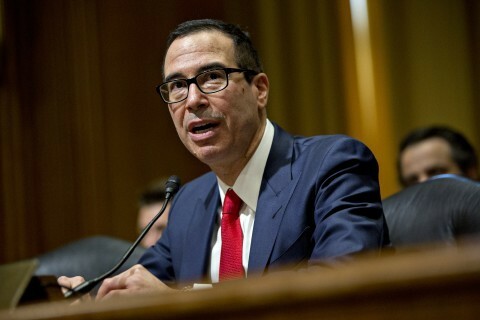 The House Appropriations subcommittee on Financial Services and General Government will hold a budget hearing with Treasury Secretary Steven Mnuchin. First daughter Ivanka Trump and Labor Secretary Alexander Acosta are set to travel to Wisconsin to president on Tuesday to promote the administration’s goal to expand apprenticeships and opportunities for students to gain skills-based education. Treasury Secretary Steven Mnuchin testifies before the Senate Budget Committee on the 2018 fiscal year budget on Tuesday. The Senate Committee on Banking, Housing and Urban Affairs will have an executive session on Tuesday to vote on Kevin Allen Hassett to be Chairman of the Council of Economic Advisers Pamela Hughes Patenaude to be Deputy Secretary of Housing and Urban Development. Vice President Pence is scheduled to give the keynote address at the conference of Prosperity and Security in Central America. The event will be hosted in Miami on June 15. President Trump capped off his "Infrastructure Week" with a speech, saying that "Americans deserve the best infrastructure:"
"Every day you're talking about Jim Comey and not the American people, their needs and their desires, their hopes and their dreams, you're making a mistake," Sen. Lindsey Graham (R-S.C.) said about President Trump. "At the end of the day he's got a good agenda, but this does get in the way of it."